Jemma brings 20 years’ experience in training design to PSfPS. Having worked extensively within automotive, management consultancy and other professional services firms, Jemma’s key specialism is taking complex and technical materials and translating them into clear, concise frameworks that improve both learner experience and organisational performance. Her design skills have been used in a wide range of programmes from product training, customer loyalty and branding, through to interpersonal and management skills. 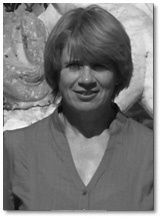 Jemma started her career in training in 1988 with leading quality assurance consultancy, P-E Batalas Ltd. Working as training co-ordinator, she grew the business from 12 UK-based courses per annum to an annual programme of more than 200 public and client-specific quality assurance courses run worldwide. In 1995 Jemma moved into training design with professional services firm Lorien Plc. Progressing to Head of Training Design for Lorien Customer Focus, Jemma was responsible for bespoke training solutions for a broad range of clients nationally and internationally, including universities, manufacturers and IT recruitment firms. Jemma has worked as a freelance training consultant since 2004, developing and designing bespoke training solutions that address key business issues and supporting resources for international companies. Jemma holds a degree in Modern Languages and European History from the University of East Anglia and is a member of the Institute of Training and Occupational Learning (MITOL). Outside work Jemma enjoys tennis and badminton and is Secretary of her local Badminton Club. She also supports other local groups, taking a keen interest in environmental matters as co-ordinator of her local Friends of the Earth group and member of the Learning steering group for Winchester Action on Climate Change.